After an accident you might require to have surgery done immediately. Surgeries can be quite costly but nevertheless need to be done. If you have some money saved up as an emergency fund, this would be the time to use it. However, if you are caught off guard with no money, then pre-settlement funding can help you. This will give you the funds necessary so that you can pay for that surgery. Once you are out of work, that debt can quickly start to pileup. Without a steady flow of income, you can be faced with no longer being able to afford your rent and having your car repossessed. Pre-settlement funding helps to keep you on track with paying your bills so that this part of your life doesn’t have to also be a massive financial downturn. 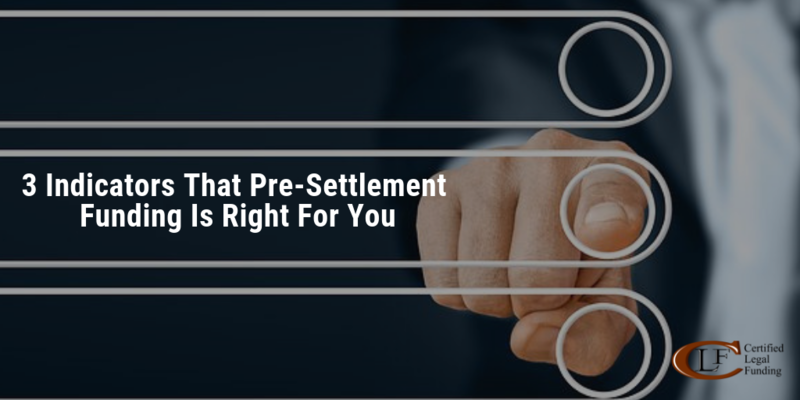 You may have begun your lawsuit process by rejecting a lowball settlement in order to get a higher settlement outcome. However, as time goes by, your bills might become too much to bear and you can quickly fall on hard times. This is when you might break and go for the lower settlement offer. But, you don’t have to when you have pre-settlement funding as an option. Instead, you can support yourself until the lawsuit is settled, so that you can get the settlement amount that you deserve.